The question that I get most often is “do I need a Will?” The answer is: yes, get a Will. Most people, especially younger people who have yet to accumulate much in terms of savings and property, think that they don’t need a Will now because they don’t have much to give away once they are gone. This view does not take into account exactly what a Will is for: to ensure that, in an unpredictable future at an unpredictable time, your estate will be handled by the people that you appoint and that anything you have is left to the people that you want to leave it to. A Will isn’t supposed to be prepared only when you are certain that you will be dying soon. A Will should be in place because life and death are unpredictable and you never really know when your time will be cut short (hopefully not!). A great way of looking at it is to view a Will as a contract with society. You sign a document saying how you want things handled when you are gone. The legal system is set up in a way that when there is a properly drafted and witnessed Will, the Will binds whoever is named Estate Trustee (Executor or Executrix). In other words, society will enforce your contract. Many contracts don’t deal with things as they are right now. Contracts are signed to deal with what is to occur in the future. The same idea applies to a Will. Just as you don’t know when you will die, you also don’t know when you will start saving some money or acquiring valuable property (and saying “some time in the future” is not specific enough). Some people put off getting a Will until they have enough savings or property. But how much is enough? Once we, as humans, head down the path of procrastination we tend not to get off the path. Getting a Will done now will allow you the peace of mind that comes with knowing that no matter how much money you make, no matter how much property you buy, and no matter when you die, a plan is in place to help your family and friends. I always enjoy saying that if you believe in life, you need a Will. Another way of putting it is to say that if you believe that your loved ones will continue to exist after you are gone, then you owe it to them to arrange your affairs so that they can be dealt with as painlessly as possible. 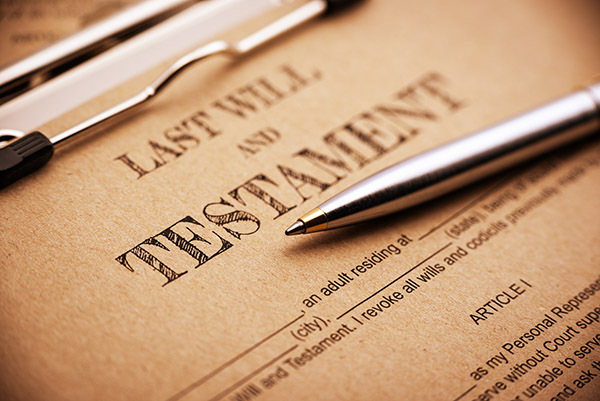 If you have ever had to deal with an estate where an individual died without a Will (intestate), then you know the extra stress, time, and expense that goes into administering these types of estates. You would do your loved ones a great disservice if you did not get a Will that clearly stated your wishes for when you are gone. There is no time better and more predictable than the present to get this done. Our clients find that getting a Will is much easier than they expected. At Lees & Lees, we pride ourselves on our ability to listen to our clients and get to know our clients so that we can serve in their best interests. We ask simple questions and point out things that you may not have thought about when discussing how to structure your Will and overall estate plan. With our years of experience, we make what could be a complicated process easy and (dare I say it?) fun! This entry was posted in Wills and Estates by leesandlees. Bookmark the permalink. Please come back frequently to see new articles and information about Wills and Estates law!